D4R is a friend of Joules and we’ve enjoyed helping them to develop their retail presence over the last couple of years. When we first started working with Joules they were already a huge success and had enjoyed significant retail growth within their stand-alone stores along with acquiring key trade retail accounts. Our initial brief was to help develop and support the brand within the trade channel. 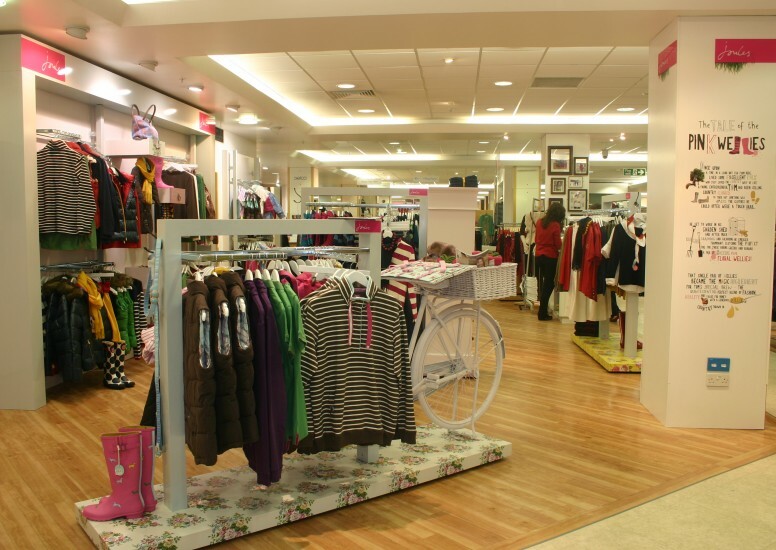 We created and piloted a variety of shop in shop solutions which have now evolved into the current Joules concession stores and shop in shop stores. 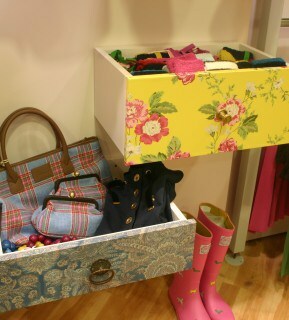 We work closely with the Joules retail team to help plan, design and implement new concession and shop in shop locations. 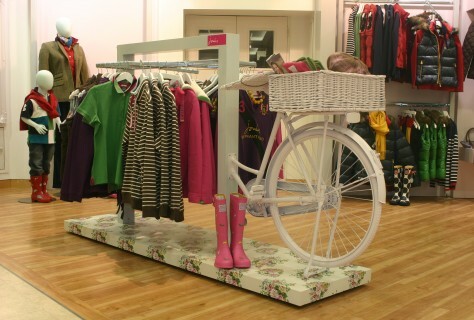 As well as providing shop in shop retail design concepts for Joules, we have custom designed a series of innovative in-store display systems. Whether it be the half bike or wardrobe gondolas, the open draws or chairs on the walls, we have used the Joules cutesy prints and quirky nature to produce stunning in-store features at every level of retail.